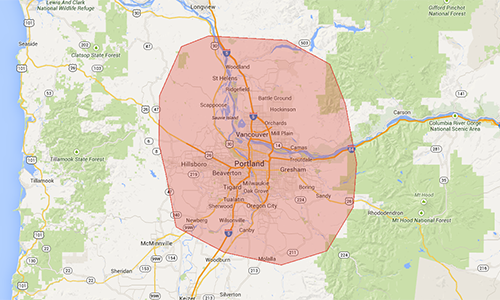 Electronic Essentials offers Vancouver, WA and Portland, OR areas and beyond top-notch central vacuum system service. We are committed to working with you to ensure that you get the optimum result from your central vacuum investment. We are the local experts for installing central vacuum systems (also referred to as built-in vacuum systems) and performing repairs for residential and commercial customers. We offer premium products from MD Manufacturing, the leader in quality built-in vacuums, and we are able to provide services for all major brands including Beam, Nutone, Vacuflo, Electrolux, and Hayden. Let us show you how products from MD Central Vacuum can enrich your life and your home. Can be retrofitted into existing homes and existing central vacuums. A new wall plate and pipes are installed. The hose is suctioned back into the pipes after cleaning. Hide-A-Hose is available in 30, 40, 50, and 60 foot lengths. A 50 foot hose covers nearly 2,300 sq. ft. That's convenience on a wide scale!